Film Strip When Sobul, Primes, & Schenkel was approached to participate in an effort by the “Hollywood” business management community to raise $1,000,000 for the Motion Picture Television Fund, we stepped right up. 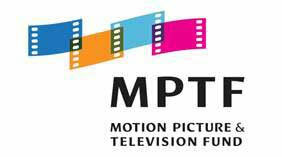 The MPTF, as it’s known to its friends, was founded 90 years ago by luminaries Mary Pickford, Douglas Fairbanks, Charlie Chaplin, and D.W. Griffith to provide care to entertainment industry workers. The idea was simple: those who were more successful should share with those in need. We’re proud to be part of the successful $1,000,000 campaign and are pleased to be giving back to one of the industries we serve. You can also participate by going to mptvfund.org. Previous: What to Save When You Give? Next: What Do You Want To Do When You Grow Up?